First section: Introduction to the idea of “qi” or subtle energy. Practical exercises for feeling qi within your own body. Second section: Learning qi gong exercises and movement forms for building qi within your body. Third section: Practicing qi gong meditation sitting forms and energy awareness exercises. 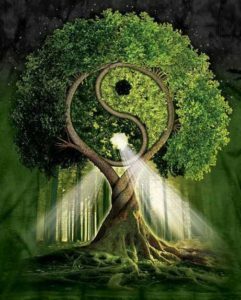 Fourth section: Introduction to basic qi gong sitting meditation exercises for circulating healing energy around your body. Final discussion, Q&A, talk on how to create your own daily qi gong practice.